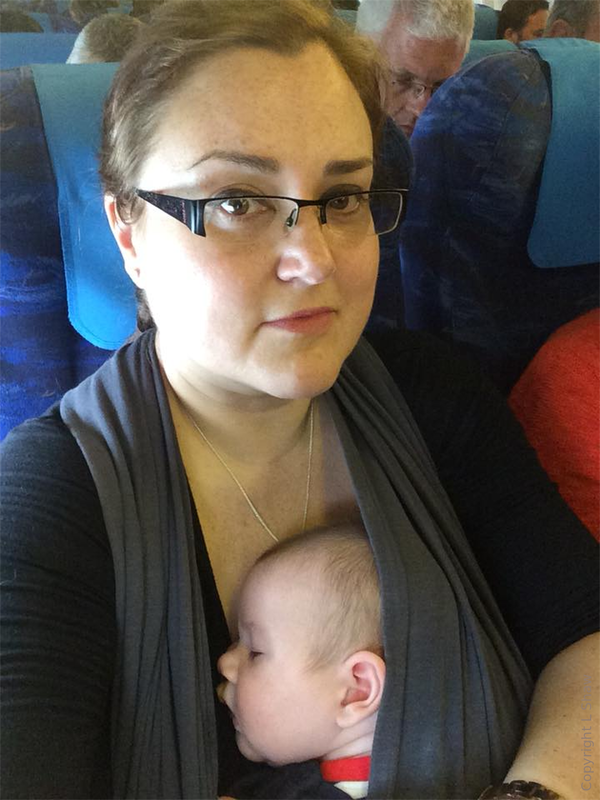 Slings in this section are a great solution for carrying newborns. Made from jersey fabric they fit the majority of people and are designed such that your baby is perfectly supported within the stretch of the material. How long they last depend on how long parent and baby feel comfortable and confident. 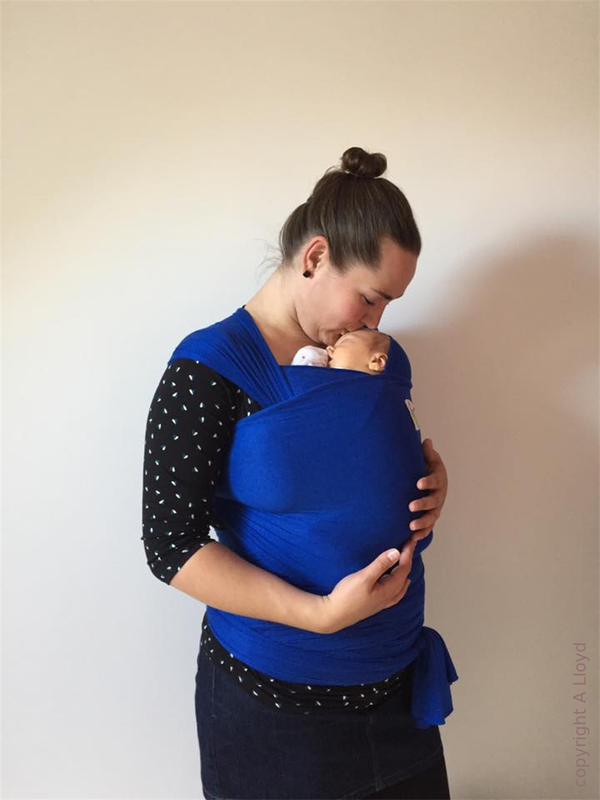 Stretchy Wraps and hybrids: A long piece of jersey fabric, wrapped around the parent in a precise yet simple way called a pocket wrap cross carry (PWCC) allowing the baby to be safely tucked inside the folds in a tight, secure way. Ideal for newborns who like to snuggle against their parent, and very practical in terms of being adjustable to fit almost every adult. 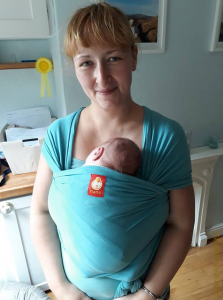 Handy features of these slings are that they are very easy and quick to launder and can be worn empty pre-tied ready for the end of a car journey for example. Most families move on to slings with more structure at around 4-8 months, when they may begin to find the stretchy a little bouncy. However, hybrid stretchies which have considerably more structure may last considerably longer. Close Caboos are an adjustable jersey carrier which uses two loops of jersey, whose length is adjusted using rings, and a sash to mimic the PWCC. The continuous adjustment allowed by the rings allows this sling to fit a wide range of body shapes. Baby Bjorn Mini, a simple to use soft carrier for younger babies with an ergonomic parent facing position. This carrier is built upon a crossed strap structure with no waistband. Mamaruga Zensling – a buckled carrier built using stretchy fabric this sling is designed to fit babies from newborn to toddler.